When the European Union was awarded the Nobel Peace Prize last Friday, the reactions in Belarus were mainly negative. This can be attributed to a limited understanding of what the EU means by many Belarusians. The reactions to the news that the Nobel Peace Prize was awarded to the European Union this year was a surprise for most people. However, all of them were of course honoured by this choice, as European Commission chief Jose Manuel Barroso and EU Council head Herman Van Rompuy said in a joint statement : „The European Union [is] an inspiration for leaders and citizens all over the world.“ EU Commission President Jose Manuel Barroso called it a „great honour“, while European Council President Herman Van Rompuy said it was recognition for the work of „the biggest peacemaker in history“. While the reactions were mainly positive throughout Europe, Belarusians were most reticent in finding positive words for this year’s choice of the Norwegian Nobel Peace Prize Committee. This reveals a lot about EU-Belarus relations. Given the history of the EU and Belarus and its development during the last years, it is of course understandable that Belarusians adopt a rather euro-skeptic attitude. Relations have been on ice for years with the progressing of authoritarianism in Belarus. During the last years, the EU’s external policy of carrot and stick has not lead to any improvement in the situation in Belarus. On Monday, the EU ministers will discuss the expansion of sanctions against Belarus. 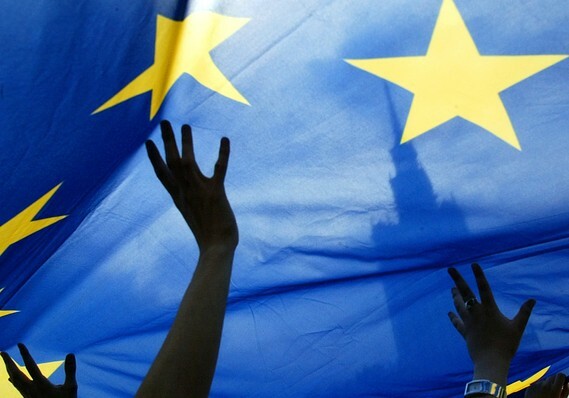 The situation has been a similar one for several years: The EU keeps reacting to the moods of the Belarusian authorities, by the only means of offering economic incentives, more bluntly: money or sanctions if the Belarusian president violates the democratic standards of the EU. There are two expectations in Belarus: The state representatives expect the EU to bring economic and technical cooperation to Belarus and not to mingle with any other matters. The opposition and civil society expect the EU to bring democracy to Belarus. As this does not work, they keep complaining about the EU and its inefficiency. In their opinion, the EU naturally cannot deserve to get the Nobel Peace Prize, given the fact that Belarus is still neither a democratic state nor a member of the EU, meaning free travel and EU living standard for the Belarusian citizen. Indeed, the Belarusian point of view seems rather Belarus-centered. For the development of Belarus and the democratization process it will be vital to understand that it is by no means the task of the EU to solve the Belarusian problems. Wealth and democracy cannot be exported like any other good, but it has to come from the inside. Without a change in mind in the political culture and without overcoming the passive attitude that is wide-spread in Belarus, nothing will change. It is rather time to see what the EU has achieved. Without the history of the European integration that started over 60 years ago with the European Coal and Steel Community and the German-French reconciliation, Europe would be a completely different continent by now. 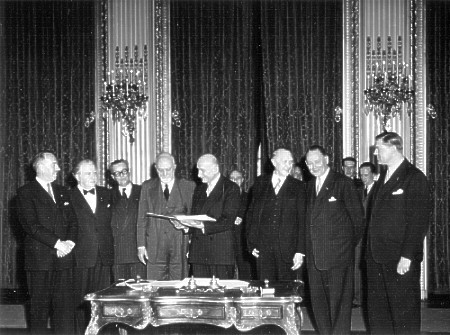 Who know how both countries would have overcome their hereditary enmity if it was not for Jean Monnet? And who knows how the Southern European dictatorships would have developed? And, to come closer to Belarus, what would have become of the Eastern European countries that entered the EU in 2004? The EU did not start as a saviour for people who are discontented with their governments anywhere in the world. It started as a self-help community for countries that were devastated by three wars in 75 years. The initiative of its visionary politicians led to the success story that the EU is now. This is what the Nobel Prize Committee had in mind when awarding the price to the EU. It may as well be extraordinary that an institution gets this prize- it is usually awarded to individuals fighting for peace in their countries, putting their lives at danger. 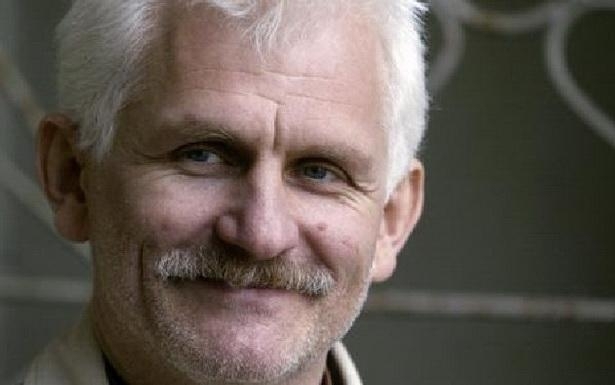 One of the alleged favourites this year along with the EU had been Ales Bialyatski, the head of Belarusian human rights group Vyasna (Spring) who has been jailed for months after a show case trial last year. As much as Bialytski might have deserved the prize- it would be good if the Belarusian EU critics tried to see that the EU is still beneficial for them at is now- and by all means a worthy Nobel Peace Prize winner. ← Zurück Vorheriger Beitrag: Neues Outfit! Weiter → Nächster Beitrag: Esst mehr Salat "Zdorovie"